The Shambhala teachings are inspiring Seattle sangha members in their professional lives and as volunteers, where they offer their skills and time each month towards running our center. These members are making “right livelihood” choices, following traditional Buddhist teachings on living a dignified life and working in an ethical way. 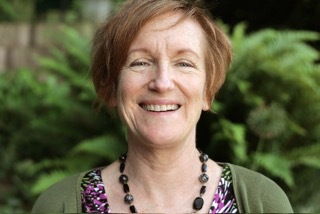 Inspired by her studies at Naropa University, Terry Jaworski sees basic goodness as the centerpiece of her work as a psychotherapist and as head of Social Health and Well-being for our sangha. “So many people feel they are deeply flawed and identify with their stories of how they are messed up. My hope is I can help people consider they are fine, just as they are, says Terry, who sees private clients at her Capitol Hill office, shared with her husband Jay Jaworski. Terry, a 37-year member of Shambhala, became a student at Naropa University when she heard about the Master’s program in Eastern and Western Psychology that included a 3-month Maitri program at Shambhala Mountain Center. “I’d had enough of academics and wanted more direct experience. I really wanted to do the retreat. My meditation practice was zazen up to that point and I had no idea what Vajrayana Buddhism was all about. The first time I walked into the Boulder Shambhala Center in 1981, I discovered I’d found home. I went on to staff an additional 3-month Maitri program and am currently involved in coordinating and teaching Karuna Training in Seattle and Berkeley. As a member of the Center’s Governance Council, she is concerned with the “Me Too” movement in Shambhala as a whole and similar concerns in our local sangha. She recommends compassion for the parts of ourselves that feel needy or upset any time we judge or push away or isolate others in our lives. “Consider offering the same care and concern you’d have for a friend who was having a hard time. Be curious and stay with the thoughts and sensations. Feelings are stories that want to be told, so listen and notice the reaction in your body. Hold it gently and just be with it. Thoughts will arise, notice them and come back to attending to the feeling. This is how to be kind to you and this is how we care for our friends,” says Terry, who draws on Pema Chodron’s book, Taking the Leap. As a therapist and Shambhala caregiver, Terry touches human suffering everyday and considers this to be her right livelihood. To avoid burnout and maintain a heartfelt connection to each person she works with, Terry comes back to her basic goodness in the moment. She recommends that members attend the Shambhala Sadhana at the Center each Sunday at 9AM, which she is coordinating this spring. Loved the article! Thanks for writing this up,Andrea. I loving reading anything that brings me back home. Thanks everyone — I’ll be leading the Shambhala Sadhana this Sunday at 9 am and it will be the topic of the discussion group on Sunday also. What a great interview, Andrea! I love the way you and Terry connected our personal doubts and hesitations with our practice and social biew as Shambhalians. Thank you Andrea and Terry for this inspiring article!